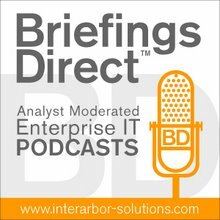 The next BriefingsDirect innovator case study interview shines a light on how on Columbia Sportswear has made a successful journey to software-defined data center (SDDC). Through our panel discussion at the recent VMworld 2014 Conference in San Francisco, we explore how retailer Columbia Sportswear has made great strides in improving their business results through modernized IT, and where they expect to go next with their software-defined strategy. To learn more about the new wave of IT, we sat down with Suzan Pickett, Manager of Global Infrastructure Services at Columbia Sportswear in Portland, Oregon; Tim Melvin, Director of Global Technology Infrastructure at Columbia, and Carlos Tronco, Lead Systems Engineer at Columbia Sportswear. The discussion is moderated by me, Dana Gardner, Principal Analyst at Interarbor Solutions.